The company announced on Friday that the FDA had approved the drug’s use in patients with unresectable Stage III non-small cell lung cancer (NSCLC) whose disease has not progressed following concurrent platinum-based chemotherapy and radiation therapy (CRT). This is a milestone in lung cancer treatment, as until now, immunotherapy has only been licensed for use in metastatic or more advanced cancer. 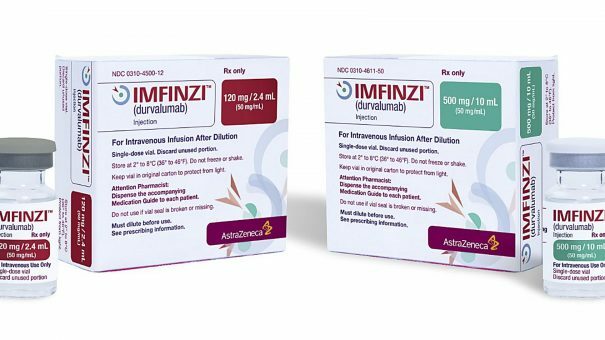 This means patients have had to wait nervously for their cancer to spread before immunotherapy treatment can begin – now Imfinzi can be used to straight after frontline chemoradiation to delay the disease’s advance. Analysts believe this indication could add $1-2 billion to Imfinzi revenues, and will help it mount a real challenge to market leaders Merck & Co’s Keytruda and Bristol-Myers Squibb’s (BMS) Opdivo. 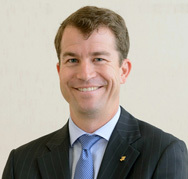 Dave Fredrickson, executive vice president, head of the Oncology Business Unit at AstraZeneca, said: “The approval of Imfinzi in this earlier stage of non-small cell lung cancer is a truly meaningful milestone for patients who, until now, had no FDA-approved treatment options following chemoradiation therapy. Scott J. Antonia, MD, Ph.D., chair of the Thoracic Oncology Department at the H. Lee Moffitt Cancer Center and Research Institute in Tampa and investigator in the PACIFIC trial, said: “Until now, treatment guidelines have recommended that patients with unresectable Stage III lung cancer undergo a period of active surveillance following chemoradiation therapy until disease progression. The approval of Imfinzi is based on the positive PFS data from the phase 3 PACIFIC trial in which Imfinzi improved median PFS of 11.2 months compared to placebo, representing a 48% reduction in relative risk of progression or death vs. placebo in all patients, regardless of PD-L1 status. The PACIFIC trial is ongoing to evaluate overall survival (OS) in unresectable Stage III NSCLC, with these final results expected in 2019. The approval is of huge importance to AstraZeneneca, as it battles for a share of the lung cancer immunotherapy market, where Merck & Co’s Keytruda and Roche’s Tecentriq have strong data in first line use. Robert Iannone, AstraZeneca’s head of immune-oncology drug development told pharmaphorum in September that more and more patients will be diagnosed at Stage III, as healthcare systems are increasingly using CT scans to detect lung cancer earlier. Meanwhile Bristol-Myers Squibb is attempting a comeback in lung cancer, after its setback in 2016. It recently unveiled data suggesting a combination of its Opdivo and Yervoy immunotherapies in first line NSCLC patients,and used a new tumour mutation burden (TMB) biomarker to stratify patients. 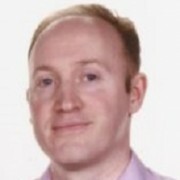 AstraZeneca has more key late-stage oncology readouts on the horizon, with several for the durvalumab in combination with CTL4 inhibitor tremelimumab. These include its ARTIC trial in third line lung cancer, plus the overall survival (OS) data from its MYSTIC trial, which disappointed last year when it failed to achieve a progression free survival advantage (PFS) over standard treatment.